I want to briefly touch on the fantasy football aspect of this book. 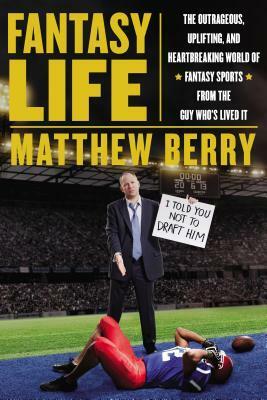 Mr. Berry will forever be appreciated by the masses for everything he has done, and continues to do for fantasy sports. As an avid fantasy player I trust in his insight and ranking systems and everything he does on a daily basis over at ESPN. However that wasn't why I enjoyed his book as much as I did. No Mr.Berry, even though I appreciate the hilarity the insight into leagues across the world and the wit you show, I thank you for allowing us all the opportunity to share in your life. The wins and losses, the family growth and personal growth, and ultimately your battle growing up. I sincerely thank you for being you, for allowing that to be prominent in this book and all the benefits it will undoubtedly provide to people down on their luck. This isn't just about fantasy football (even though it has some great stories in it) it is about a man and his struggle to find himself, to follow his dream in the face of adversity, and to become better with every waking breath. Thank you Matthew Berry for allowing us to be part of your struggle and successes.